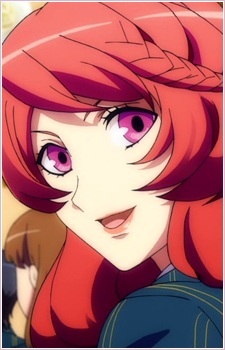 In episode 1 she is the first one to befriend Haruka, and make friends. She also helps Haruka learn about the school, and those who attend. She also helps Haruka in episode as she learns how to read music. Tomochika tries her best to help cheer up Haruka, because a lot of the students gossip about her in episode 2-3 thinking that Haruka is a fraud, and that she got in on connections and not her music capabilities. Tomochika is an energetic social butterfly, who is very confident, and has no problem making friends, or speaking her mind.